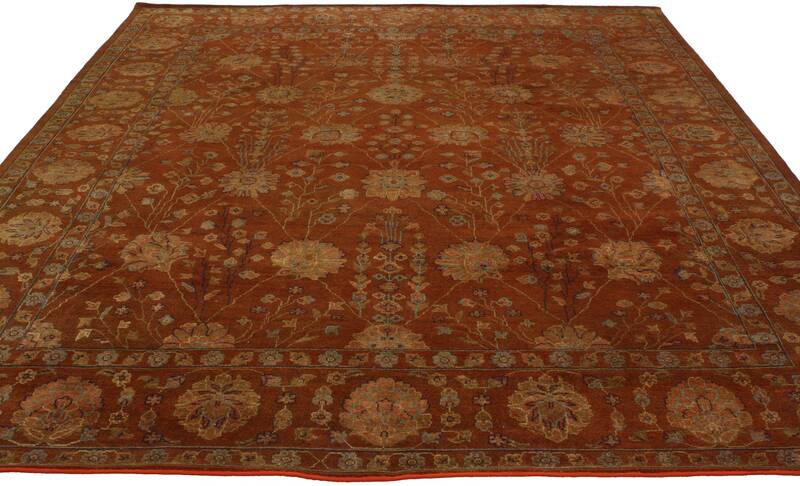 30223 New Contemporary Persian Style Garden Rug 08'01 X 09'06 From Esmaili Rugs Collection. 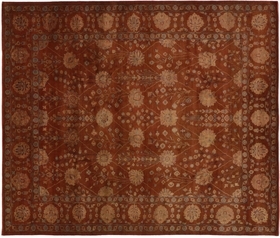 This contemporary Persian style rug features an inconspicuous compartmental garden design. Fine lines and palmettes create a faint compartment design, each filled with delicate floral sprigs. The main border tastefully complements the accent colors used within the field. 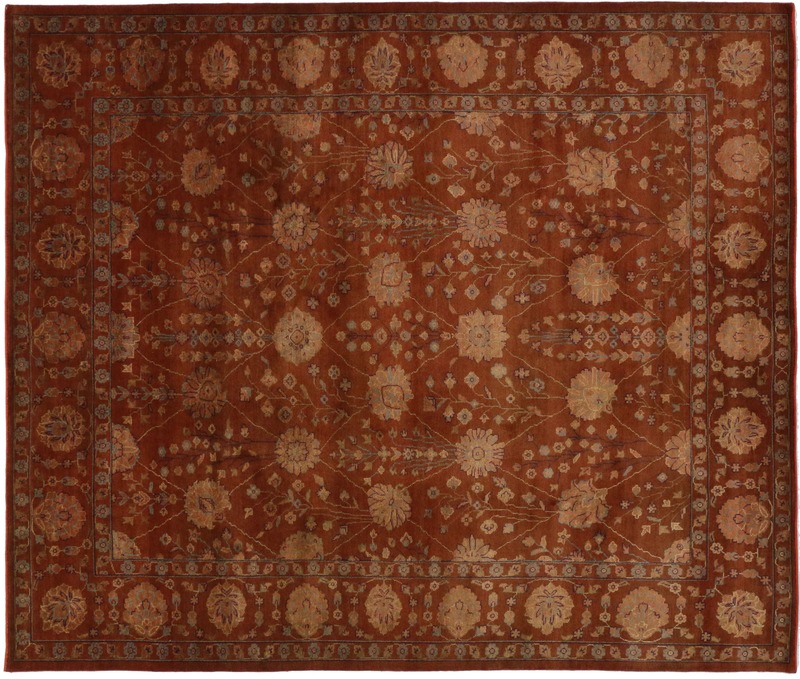 With its well-balanced composition and classic design, this Persian style rug easily appeals to modern or contemporary spaces. Rendered in variegated shades of burnt orange, burnt umber, brown, tan, ecru, salmon and beige with accents of sky blue, purple and pistachio. 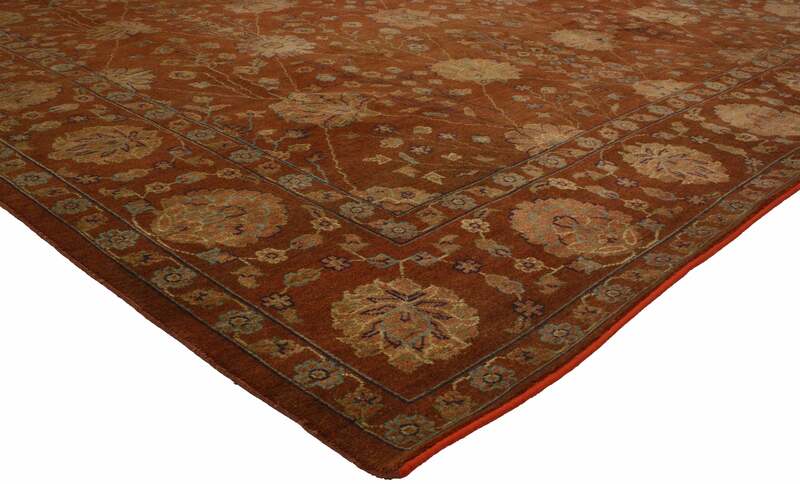 Hand-knotted wool. Made in India. Measures: 08'01 X 09'06. Brand New. In-Stock.